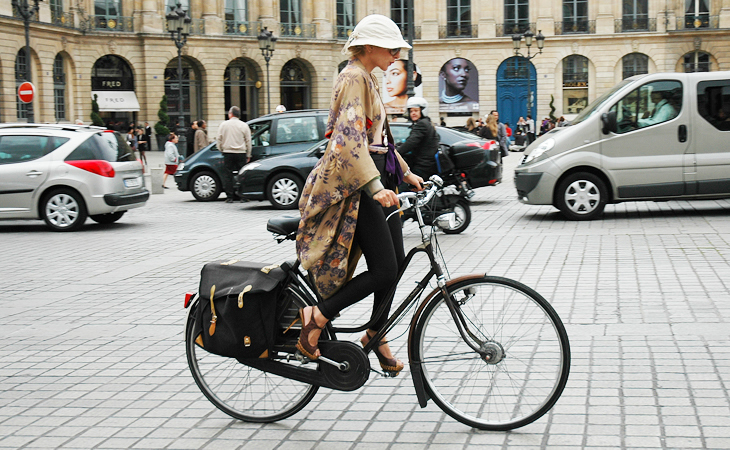 In this day and age, cycling has become both a lifestyle and an international fashion statement, its environmentally friendly and surprisingly convenient for navigating congested city streets. En estos tiempos, andar en bicicleta se ha vuelto un estilo de vida y un estamento de moda internacional, es amigable con el medio ambiente, y asombrosamente conveniente para moverse por las congestionadas calles de la ciudad. 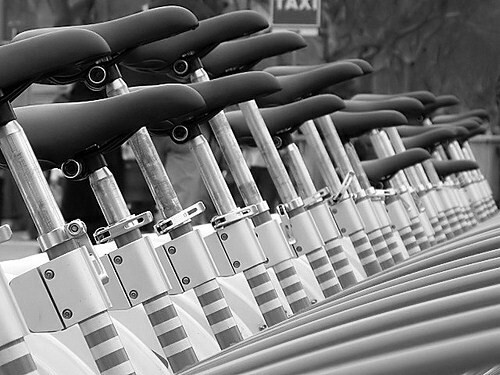 Bicycles are a part of everyday life in every city. With traffic jam, parking problems and incentives like bike lanes, many people choose to take to the streets on two wheels instead of four. Las bicicletas son parte de la vida diaria de toda ciudad. Con los atascamientos de tránsito, problemas de estacionamiento e incentivos como bici sendas, muchas personas eligen salir a la calle en dos ruedas en lugar de cuatro. 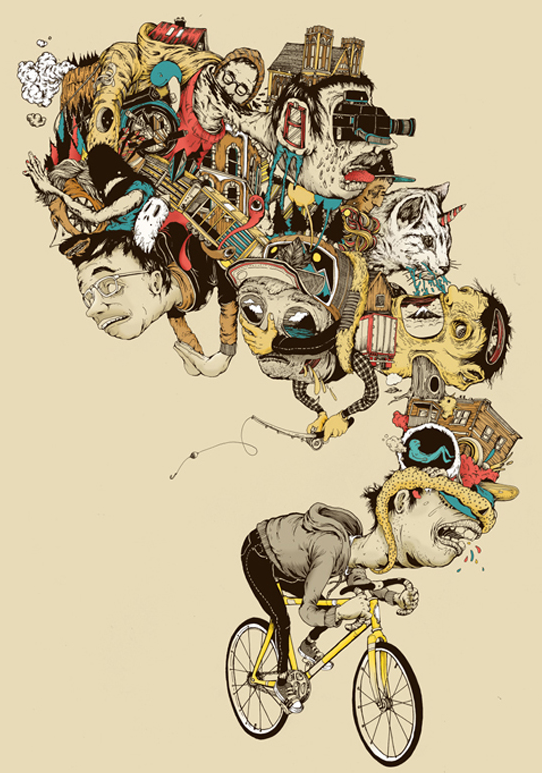 Riding a bike is liberating in that I-still-feel-like-a-kid sort of way, and we are not trapped in a metal, glass and internal combustion coffin. And...parking is always free!!! 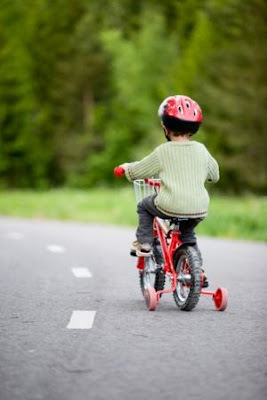 Andar en bicicleta es liberador en esa todavía-me-siento-como-un-niño forma de ser, y no estamos atrapados en un sarcófago de metal, vidrio y combustión interna. Y...¡el estacionamiento es siempre gratis! The bike itself is something to behold. 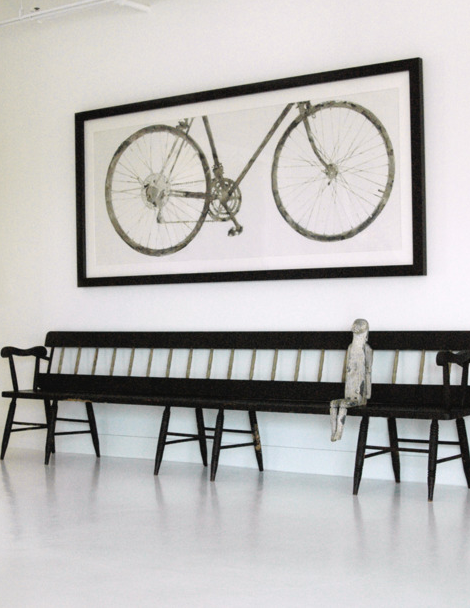 The mixture of curves and angles is so compelling, it is no wonder that the bicycle translates so well into contemporary art as well as design. La bici en sí misma es algo para tener en cuenta. 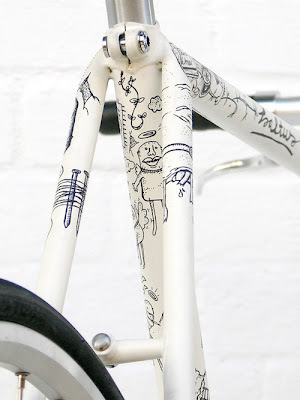 Esa mezcla de curvas y ángulos es tan atractiva, que no sorprende que esa bicicleta se traslade también hacia el arte contemporáneo y el diseño. Cycling could be seen as the most chic way to get around town, not to mention cheap, green, and a good way to fit in exercise, but it also often leads to a sartorial conundrum. So, unless you are Catherine Baba (above), wearing stilettos is a high-risk look on a bike (you never know when you’ll have to make a sudden stop). 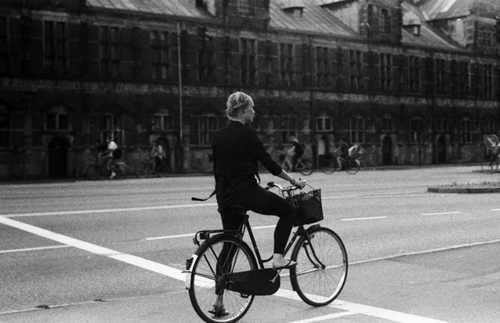 Andar en bicicleta puede ser visto como la forma más chic de recorre la ciudad, sin mencionar barata, verde y una buena manera de ejercitarse, pero también puede crearnos un dilema en el vestuario. 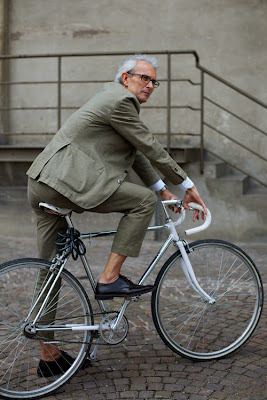 Así que , a no ser que seas Catherine Baba (arriba), usar tacones para andar en bici es un estilo de alto-riesgo (nunca sabes cuando tendrás que frenar de golpe). ...No matter what you wear, remember that while looking good is important, wearing a helmet is too. This is one instance where safety should definitely win out over style. ...No importa lo que uses, recuerde que aunque verse bien es importante, usar casco también lo es. Esta es una actividad en la que la seguridad debería definitivamente ganarle el estilo. from the back I can more easily imagine myself in that position." lo tomo por la espalda puedo más fácilmente imaginarme en su lugar." So...Why ride a bicycle? Let me think... Among all the reasons cited above: cheap, green, artistic, decorative, and fashionable, there are other very important reasons as well. Así que...¿Porqué andar en bicicleta?Déjenme pensar...Además de todas las razones ya citadas: barato, verde, artístico, decorativo y a la moda, hay otras muy importantes razones también. Albert Einstein discovered the theory of relativity while bicycling, Ernest Hemingway said that "It is by riding a bicycle that you learn the contours of a country best, since you have to sweat up the hills and coast down them." and of course, YOUR DERRIERE!...yep! 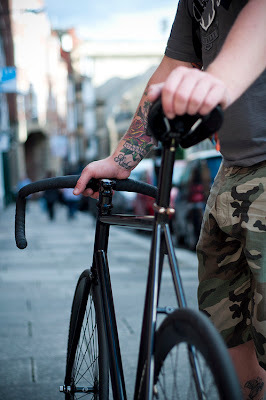 if you ride a bike your behind ends up looking fairly tight...ah! THAT'S AN IMPORTANT REASON! Albert Einstein descubrió la teoría de la relatividad mientras andaba en bicicleta, Ernest Hemingway dijo "Es andando en bicicleta como aprendes mejor los contornos de un país, ya que tienes que sudar las cuestas y las bajadas." y por supuesto, ¡TU TRASERO!...sip! se andas en bici tu trasero terminará viéndose bien firme...ah! ¡ESA ES UNA RAZÓN IMPORTANTE! And how about you? 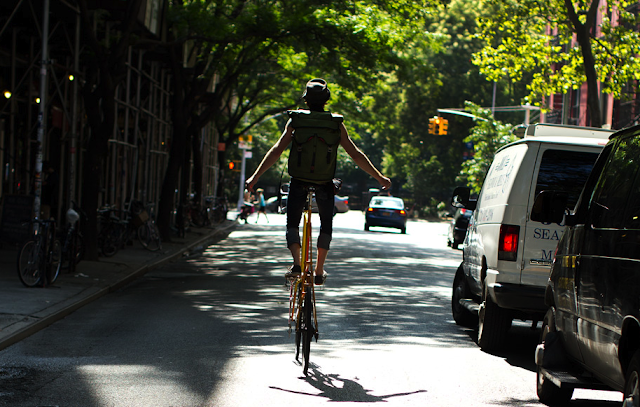 What’s your best reason to ride a bike? ¿Y tú? ¿Cuál es tu mejor razón para andar en bici? Saludos, como siempre muy inspirador! Yo tengo una pasley princess, voy feliz en bici! Laa fotos son preciosas!! Te seguimos ya por Bloglovin! I have a vintage bike that I need to get fixed. I want to ride it!!! You always post the most amazing photos! You really are great at curating images. I'll be honest. . .I'm a little scared to ride a bike. My legs are always too short for bikes, and I've always been a nervous rider. It really is something I should try again though for all of the many good reasons you have stated. Hehe! MY BACKSIDE!!! I totally agree! that's the best reason to ride a bike! I would love to ride a bicycle, but in LA it would take hours to get from one place to another =( I do think that bicycles are super fashionable though! Amazing post! I'm inviting to my blog, new post! Qué preciosidad de post!! Qué buen gusto y elegancia tienes para elegir cada foto y el texto es una maravilla! Cuando estuve en Amsterdam pasé por una iglesia en la que había una boda,me pareció súper chic ver llegar a los invitados,con sus vestidos de fiesta y en bici!!! 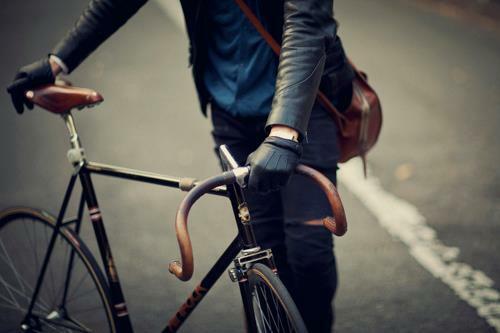 I want to purchase a bike so bad this fall, ah so perfect! By the time the term ends you BETTER remind me to get on my bike ok mom? Las sandalas de Zara son muy bonitas! Yo parezco tonta! No me las quito! These bike pics are so cute! Great post :) I just came across your blog - it's great, and it would be awesome to keep in contact with you. I'd love for you to pop by my blog sometime, and if you like it, we can follow each other :) Go ahead and follow me if you like what you see, and I promise I'll follow back! I absolutely adored this post! I have been wanting to get myself a bike and ride to work and back ever since I moved to London but I am a big fat chicken! London isn’t exactly bicycle friendly yet but it’s getting better every year with more and more bike lanes being introduced. We’ve also had the introduction of cheap bike hire in the city which has been very popular – this post has just motivated me to get out there and try it (especially if I can look so chic doing it)! You make a great case for bikes Inés! 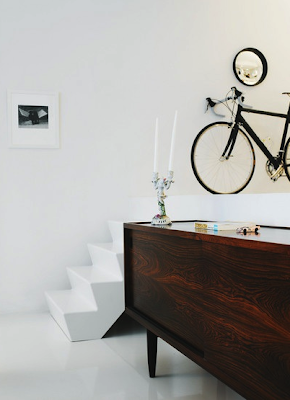 And to hit it home you include photos of the most stylish bikes and bikers. Seriously I always love the photos you feature in your posts. I think biking is great for the environment. I just wish that people would stop riding them on the sidewalks in New York and nearly taking out pedestrians. Hope you're having a fab week sweets! thx for visiting my blog and following. I read your entire Bike post, and I love it! 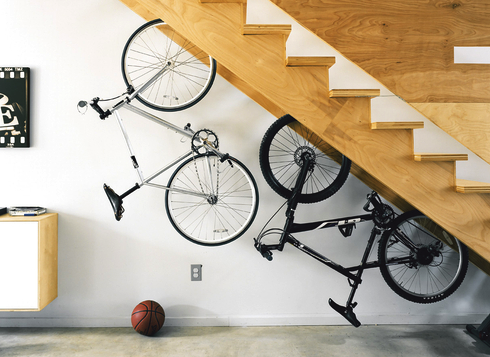 I SIMPLY didnt think of bike in so many different ways! And the pics are amazing. Really great blog! Im happy to follow you back on Bloglovin! Nice blog! Love the pictures! Wanna ride a bike right noooooow! Romantic view, me encanta! Te sigo guapi, besos, Maira. El tuyo me ha encantado. Me gustan mucho las bicis, aquí muestro dos súper chulas, la rosa es mía http://www.pauladeiros.com/2012/07/photos-remix.html. Te sigo en bloglovin porque el google friend connect no lo he encontrado. I wish I was close enough to work and school that I could bike there. No conocia tú blog y me encanta. visita el mio y si te gusta nos seguimos mutuamente. Bss. 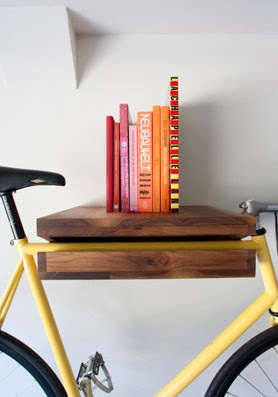 Oh, this makes me miss my bicycle even more..great post! You've got such a lovely blog, I was wondering if you would like to follow each other? Hello, I followed back, on Bloglovin ( 83#) because I can't find your GFC icon. me gusto el estilo editorial de tu blog!, muy cool! Siempre me ha gustado mucho ir en bicicleta, lo malo es que en mi ciudad no tenemos carril bici, y es complicado ir por la carretera con los coches. Gracias por visitar mi blog, yo también me quedo por aquí. Me gusta mucho tu blog. Besos. Gracias por visitar y seguir mi blog. Por supuesto yo tb te sigo via blogovin. Bss. Ver nice post. I enjoyed it. Thank you for stopping by my blog, for your comment and for following. I hope you will get to visit London soon! It is. A very nice city to ride the bike around and explore. I am following your blog now too. Keep in touch. These pictures are beautiful! You have a gorgeous blog. Wow! Amazing bicycle photos story! 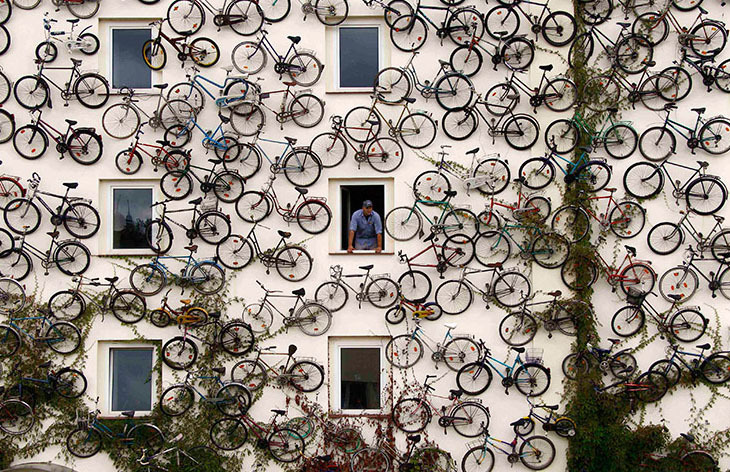 The bike shop with the bikes on the building wall are so incredible! Awesome post! Thanks so much for coming to my blog and following on bloglovin! Could you please make sure you are following on bloglovin as my follower number hasn't changed. Your blog is awesome and I am following you on bloglovin # 90! I am looking forward to more of your great posts! mind following each other, doll? Haha I feel slightly jealous 'cause I can't ride a bike. Like...really, I'm not joking, but I don't really know why. Ines, one of the fewest things I missed during my holidays was reading your blog ! You are my best! Your posts are becoming better and better! Baci italiani! Thank you so much for your sweet comment and for following me, I really appreciate it! Ojalá puedas visitar nuestro blog y dejar lindos comentarios. Me ha encantado el post!las fotos buenisimas y por supuesto el blog! Thank you so much for following my blog! I love yours and followed too! thankyou for the sweet comment on my blog.thankyou for complimenting and believing in my talent. and I can't find a follow through GFC so I subscribed your blog via email, just tell me when I can follow via GFC. it's good 'coz it less polution! great photos! 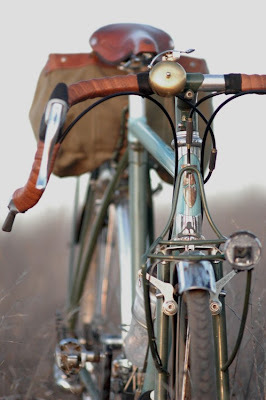 This post makes me feel like getting on a bike & going for a ride. I love your blog & I just signed up as your latest follower! It would be great if we could follow each other! 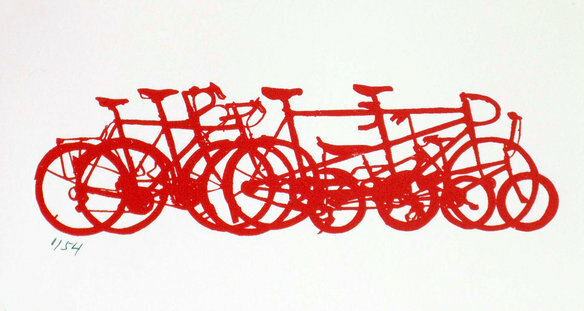 The bicycle is the most influential piece of product design ever = True. This is why i use my bike everywhere i go. But the problem is that here in Greece you can easily get an accident cause people do not like bike drivers so much. They all drive cars. 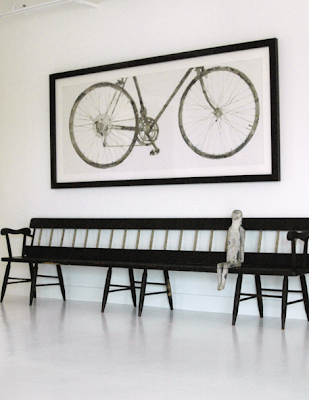 hey, i love your post about the bicycle. Very interesting. I started following your blog, it would be great if you could check out my blog too?